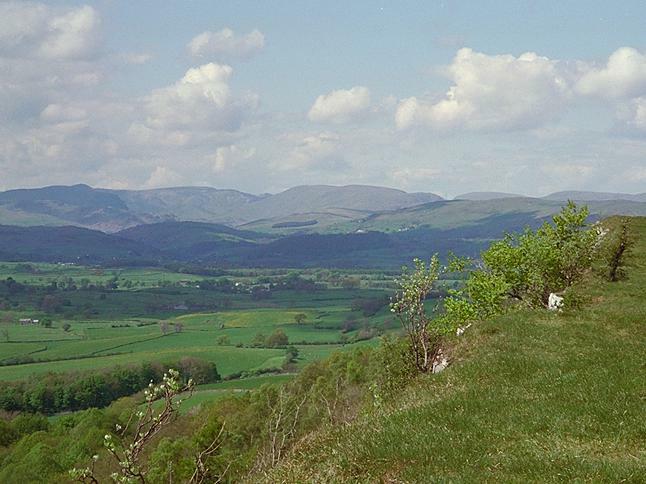 The view north from Scout Scar reveals the fells of Kentmere and Longsleddale on the horizon. To the west, and not in the picture, lie the Coniston fells, Crinkle Crags, Bowfell, Scafells and many more. Smaller version of this picture.